Revelation of Corbyn’s participation in ceremony wasn’t only controversy to engulf longtime socialist operative last week. British Labor party chief Jeremy Corbyn issued a scathing critique of Israel after being publicly reprimanded by Prime Minister Binyamin Netanyahu for his apparent participation in a commemoration ceremony in memory of members of the Black September terrorist organization who took part in the 1972 massacre of 11 Israelis during the Munich Olympics. Pictures of the event, which seemed to show Corbyn laying a wreath near the terrorists’ graves in a Tunisian cemetery four years ago, were published in the Daily Mail last Friday and immediately led to a political firestorm. Nearly 170 people have died in Gaza clashes since the end of March. The IDF has stated most of them were Hamas members. 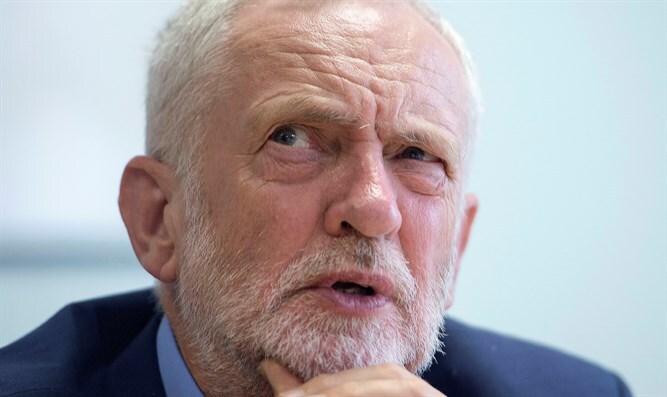 These revelations follow intense scrutiny of Corbyn’s past and present statements about Israel and anti-Semitism and his alleged failure to curb resurgent anti-Semitism within his party. Last month, Labour pointedly decided not to adopt parts of the International Holocaust Remembrance Alliance’s working definition of anti-Semitism that related to Israel.